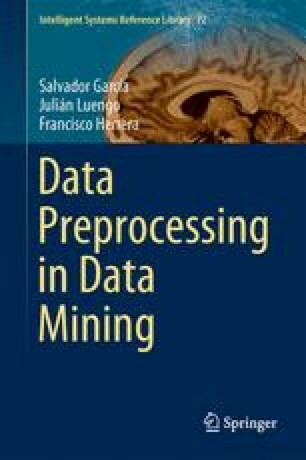 Presenting a Data Mining technique and analyzing it often involves using a data set related to the domain. In research fortunately many well-known data sets are available and widely used to check the performance of the technique being considered. Many of the subsequent sections of this book include a practical experimental comparison of the techniques described in each one as a exemplification of this process. Such comparisons require a clear bed test in order to enable the reader to be able to replicate and understand the analysis and the conclusions obtained. First we provide an insight of the data sets used to study the algorithms presented as representative in each section in Sect. 2.1. In this section we elaborate on the data sets used in the rest of the book indicating their characteristics, sources and availability. We also delve in the partitioning procedure and how it is expected to alleviate the problematic associated to the validation of any supervised method as well as the details of the performance measures that will be used in the rest of the book. Section 2.2 takes a tour of the most common statistical techniques required in the literature to provide meaningful and correct conclusions. The steps followed to correctly use and interpret the statistical test outcome are also given.